Confirmation is a special outpouring of the Holy Spirit like that of Pentecost. This outpouring impresses upon the soul an indelible character and produces a growth in the grace of Baptism. Confirmation roots us more deeply in divine kinship, binds us more firmly to Christ and to the Church, and reinvigorates the gifts of the Holy Spirit in our soul. For teenagers, the preparation for the Sacrament of Confirmation is normally a two-year preparation beginning in 7th and 8th grades and is completed during the fall of freshman year with the celebration of the sacrament at Holy Martyrs. Preparation involves catechesis and instruction in faith led by our Youth Ministry. It is augmented by service projects and an annual retreat. Special sacrament preparation sessions are also held for young people, sponsors, and parents. For more information about confirmation for youth, please contact Diane Bruce, our Director of Faith Formation, at (330) 952-1466. For adults who have not been confirmed and need to complete their sacraments of initiation, there is a special Adult Confirmation Program held twice a year. 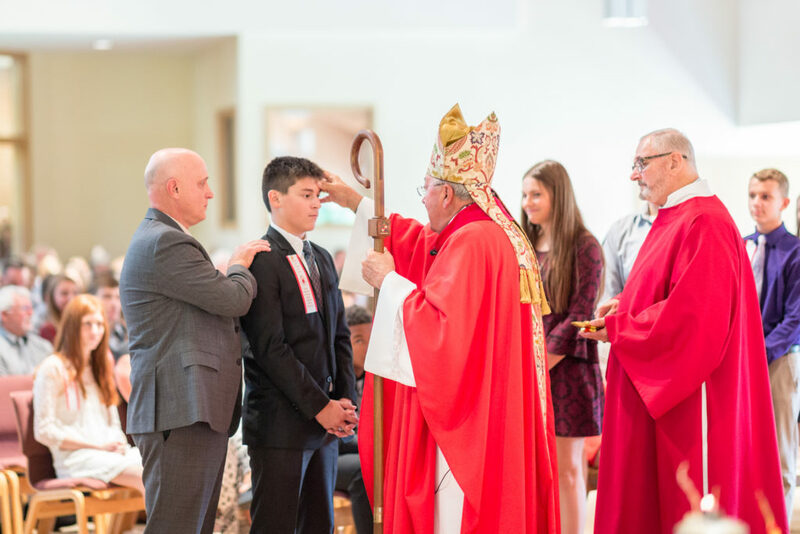 The Sacrament of Confirmation is then conferred either at the parish celebration of the sacrament in the fall or at a special celebration of adult confirmation at the cathedral each Spring. please contact Janet Payton at 330.722.6633.